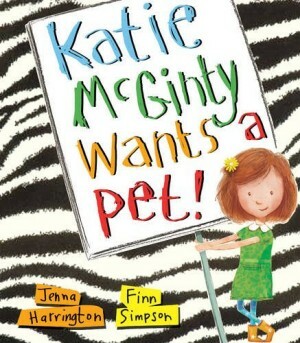 Katie McGinty knows exactly what pet she wants to get. Not a hamster, or a cat, or a dog. Oh, no! Not a chipmunk; not a snake; not a pig. No, Katie really wants a pet with a difference. Can you guess? The stripes might give it away. Katie knows just what a pet zebra needs too, but Daddy’s not too sure! More rambling about Katie McGinty Wants a Pet at Chaos Castle. Henry doesn’t actually want a pet with a difference, he wants a dog. But it seems the perfect pet is searching for someone too, and he isn’t a dog but a duck. Fiona Roberton’s picture books are beautiful and heartwarming, and explore being (or feeling) different. They work perfectly for Chaos Castle’s non-neurotypical inhabitants, and all four are in the library. 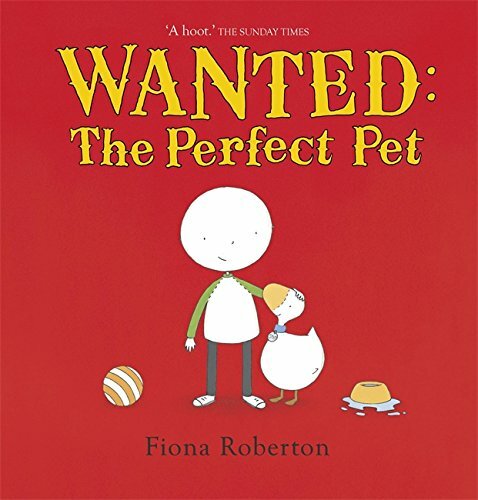 More rambling about Wanted: The Perfect Pet at Child-Led Chaos. Aaaarrgghh, Spider! looks at the viewpoint of a pet who wants a family. 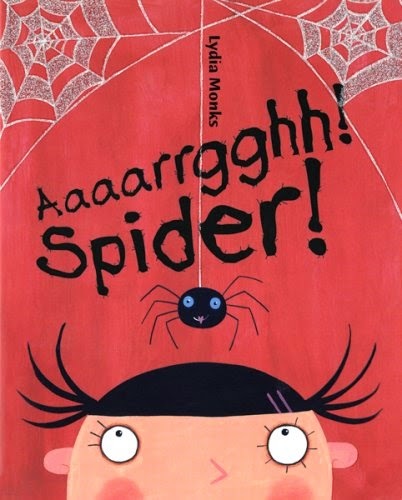 Spiders aren’t the most usual of pet, especially not house spiders, but the spider in our tale does all she can to show the family how good a pet she can be. More rambling about Aaaarrghh, Spider! at Child-Led Chaos. In contrast to Aaaarrgghh, Spider’s pet in need of a family, here is a pet who doesn’t know he is one. Marcel (or Rodrigo? or Dominic?) is owned by Wilfred. 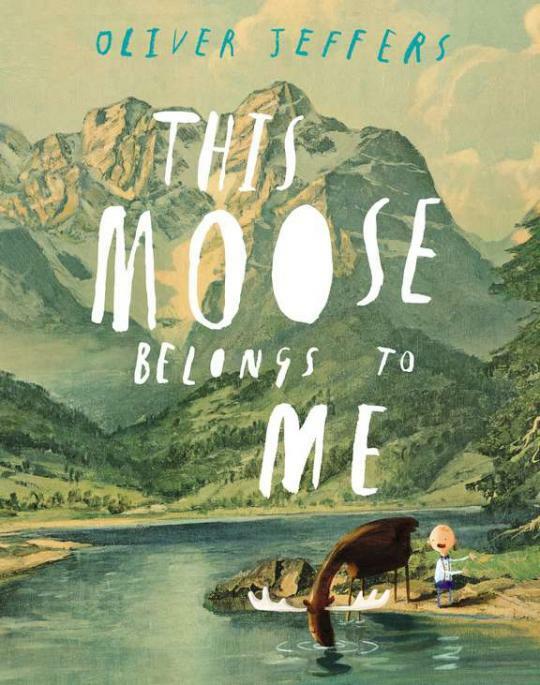 This Moose Belongs to Me is a wonderful tale of a wild animal being itself, regardless of what humans think it ought to be, with gorgeous Oliver Jeffers illustrations. More rambling about This Moose Belongs to Me at Child-Led Chaos. 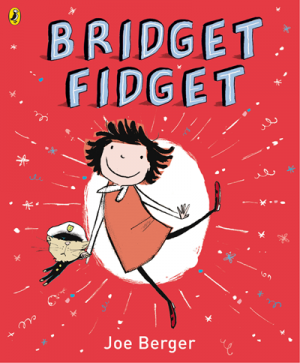 Bridget Fidget is a very bouncy child (we know a few like that!) and is full of excitement at the HUGE box delivered by the postman. It must be a pet unicorn for her?! But inside the HUGE box, is a BIG box full of snow (oh how familiar that sounds!) so maybe it’s just a penguin instead?! But inside the BIG box, is a little box… Oh, well, maybe it’s a mouse? Now Daddy and Mummy are awake (and not very happy), Bridget finds out that the parcel is actually a… clock! A clock? Or a house for a special pet? Bridget is full of excitement despite every disappointment, she bounces back and gets excited by something else. It’s a great philosophy to have, and rewards her with her pet with a difference – a teeny little ladybird. With illustrations full of exuberance, this is an excellent wake-up story to start a day full of imagination. 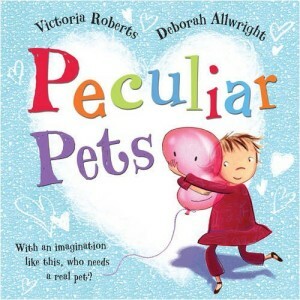 Peculiar Pets has another little girl full of imagination, and another child really wanting a pet. I can’t read this without hearing Cerrie Burnell’s voice in my head as we first heard it being read on CBeebies. Oh dear, the parental “we’ll see”, which often means no. But that doesn’t deter this little girl. She sees… a rock! A glove! A sweet wrapper! A balloon! 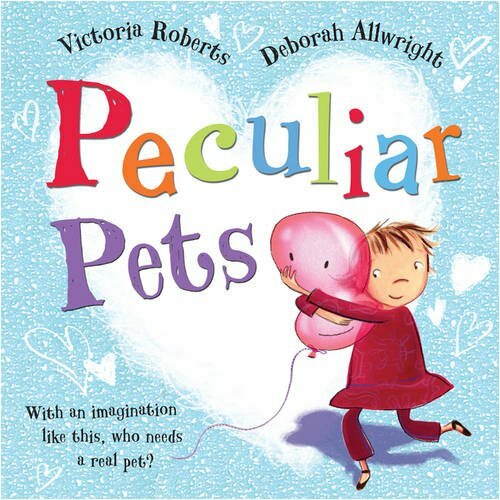 Peculiar Pets may end up with a pet without a difference, but the imaginative pets may inspire little ones to care for their own peculiar pets. These six picture books give a variety of examples of pets with a difference. If you have any suggestions to add, please use the comment form below.